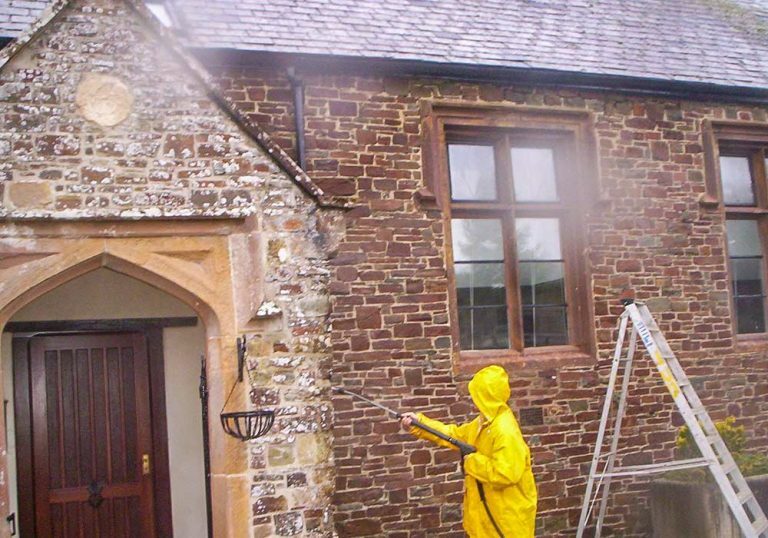 Specialist Cleaning works can be undertaken as s standalone project to remove graffiti, dirt and carbon deposits to improve the aesthetic appearance of buildings and structures. 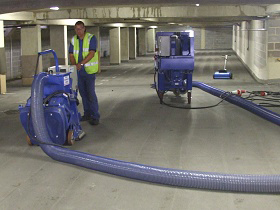 Specialist cleaning is also often necessary before any concrete repair or specialist coating works can be undertaken. Dirt, soot, grease and any other surface contaminants should be removed, this includes moss, algae, lichens, old coatings etc, to help when identifying defective areas and is essential for the bonding of any repair materials and protective coatings. involves firing grit or sand at high pressure to remove old coatings, contaminants, surface laitance etc to give an exposed aggregate surface for new coatings. 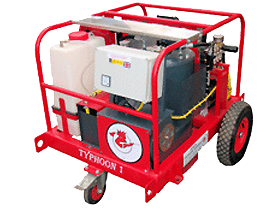 uses water and grit/sand mixed and fired under pressure, this process keeps dust to a minimum and is ideal for graffiti removal. uses mechanically powered bush hammer or rotating wire brushes to abrade the surface to remove contaminants. uses electric or compressed air to run the scabbling heads or steel pins in the needle gun nozzle to clean and abrade surfaces. normally used with degreasants and detergents to remove graffiti, oil and grease. uses acid to remove surface contaminants such as cement mortar on brickwork. Whilst very effective it can only be used in very controlled circumstances. 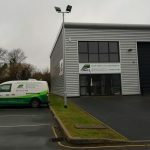 covers a range of cleaning products selected to best suit the area to be cleaned, client requirements and the environment in which the product will be used. 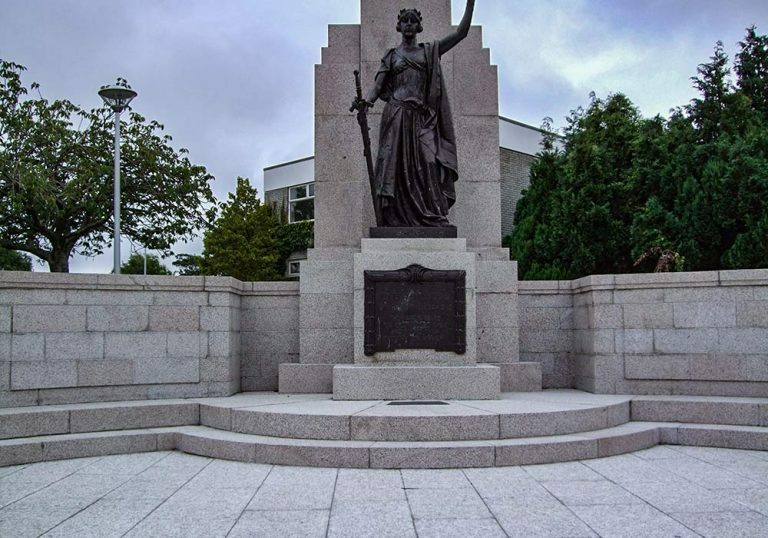 Significant advance in chemical cleaners now mean that softer surfaces such as Sandstone/Portland stone can be cleaned using enzymes to digest the dirt, thus avoiding other cleaning systems which could damage the surfaces. 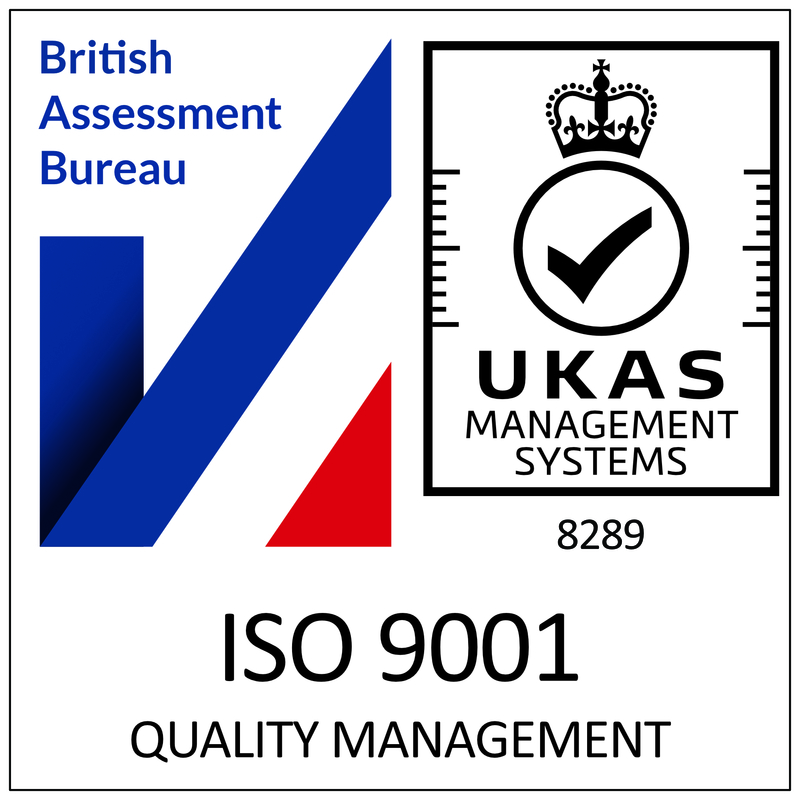 For a brief overview of our company and how we can help you, please watch our presentation explaining more about us and the expertise of our team. New Year New Office Post is up on our lovely new website from @GSLMediaUK along with a new Case Study. 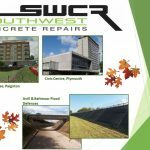 SWCR Are moving - from Friday 25th January to Tuesday 29th January SWCR will be moving to larger premises.